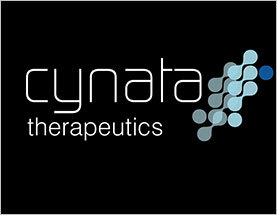 Australian stem cell and regenerative medicine company Cynata Therapeutics Limited is pleased to announce that it has received positive data demonstrating the efficacy of its Cymerus™ mesenchymal stem cells (MSCs) in a preclinical model of diabetic wounds (also known as diabetic ulcers). The studies were conducted independently by the Cooperative Research Centre for Cell Therapy Manufacturing (CTM CRC) and were designed to compare cells from various sources. CTM CRC, based in Adelaide, South Australia, is developing an active wound care dressing for the treatment of diabetic wounds. This novel dressing, for which a patent is pending, consists of a polymer-coated silicone dressing seeded with MSCs or similar cells. More on the wound tissue market in Europe can be found in a series of reports published by iData Research entitled the Europe Market Report Suite for Wound and Tissue Management. The suite covers reports on the following markets: Wound Closure, Static Compression Therapy, Dynamic Compression Therapy, Advanced Dressings, Moist Dressings, Antimicrobial Dressings, Interactive Dressings, Non-Adherent Contact Layers, Traditional Wound Dressings, Hemostats, Tissue Sealants, Anti-Adhesion, and Negative Pressure Wound Therapy. The iData report series on wound and tissue management covers the U.S., Japan, India, China and 15 countries in Europe including Austria, Belgium, Denmark, Finland, France, Germany, Italy, Luxembourg, Netherlands, Norway, Portugal, Spain, Sweden, the United Kingdom, and Switzerland. Reports provide a comprehensive analysis including units sold, market value, forecasts, as well as detailed competitive market shares and analysis of major players’ success strategies in each market and segment. To find out more about wound tissue management market data, register online or email us at [email protected] for a Europe Market Report Suite for Wound and Tissue Management brochure and synopsis.